Better Than Pants is a great place to go for witty and hilarious tshirts for men and women! They have all different categories of shirts that go by theme, time period, etc. It was a great selection to browse through and their website is easy to find your way around on! Even if you want shirts that are less offensive to some people, there's plenty to look at so I gurantee you that you can easily find a few shirts you love from their website! I received two tshirts from Better Than Pants that I got for my boyfriend. 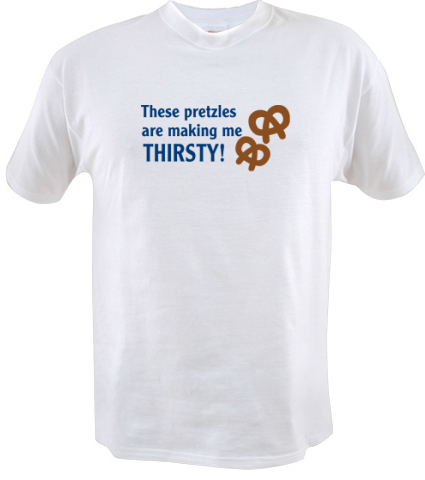 One was a quote from Seinfeld "These pretzels are making me thirsty" and let me just say I love the selection of the Seinfeld related shirts. 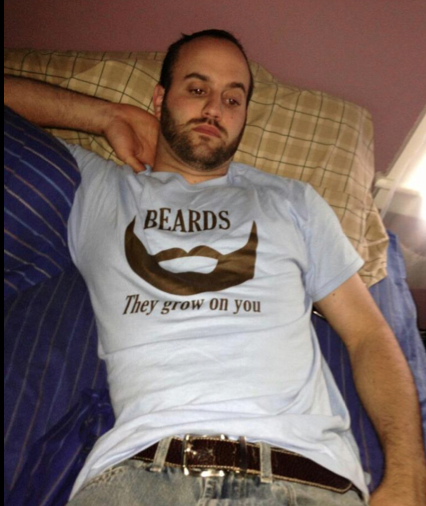 The other shirt was one that says Beards...They Grow on You. My boyfriend has a beard so we always make jokes about beards so this was perfect. I love the quality of the shirts and the printing on them. They fit true to size and were very soft. One winner will get a Tshirt of their choice from Better Than Pants! I love the "check liver light" shirt! So funny! love the Facebook Friend shirt! Too funny! My son would love this "If You See Da Police Warn a Brotha Shirt" too cute. I like the I mustache you a question. Love the shirt that say Bacon!! !